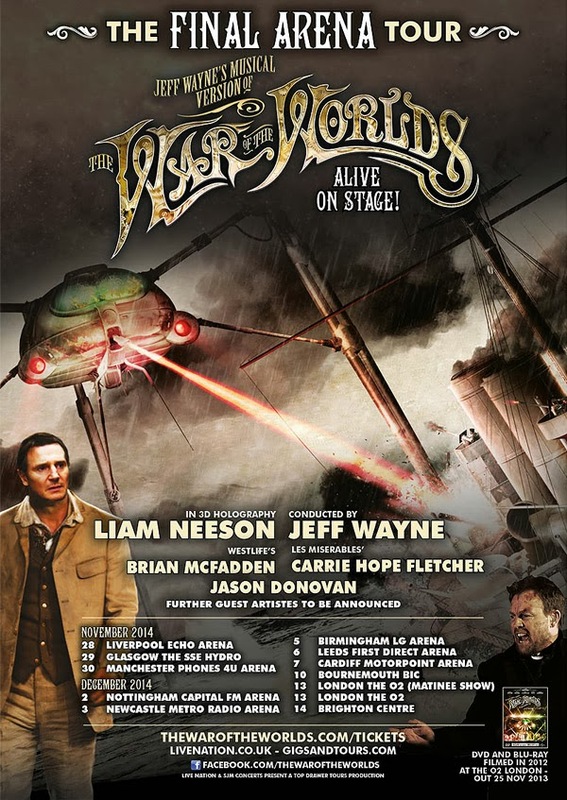 Jeff Wayne's Musical Version of The War of The Worlds is to tour for the sixth and final time at the end of 2014. It will be the sixth UK tour in eight years. The Sung Thoughts of The Journalist will be performed by Brian McFadden (ex Westlife), Jason Donovan is reprising his role as Parson Nathaniel and Carrie Hope Fletcher (Eponine from Les Miserables) is playing Beth, Parson Nathaniel's Wife. 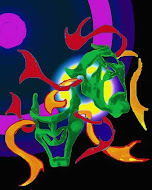 The final two musical guest artistes are still to be announced. 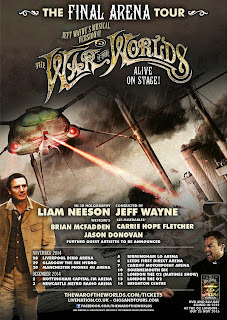 The show will again feature Jeff Wayne conducting the 9-piece Black Smoke Band and 36-piece ULLAdubULLA Strings. Liam Neeson's 3D holographic performance as The Journalist will also return with enhanced technology. Tickets go on sale on Friday 22nd November at 9:00 am with prices starting at £38.50. with prices starting at £38.50. ..is it a comedy?